Celia Shortt Goodyear/Boulder City Review Sixth-grader Hank Stark opens his locker at Garrett Junior High School for the first time at the back-to-school event Friday. Celia Shortt Goodyear/Boulder City Review Kristin and Terry Stevens see their son, Cruz, off at the first day of school Monday. Cruz is a fourth-grader at King Elementary School. Celia Shortt Goodyear/Boulder City Review First-grader Leida Andrews, left, lines for class on the first day of school Monday at Mitchell Elementary School in Boulder City. 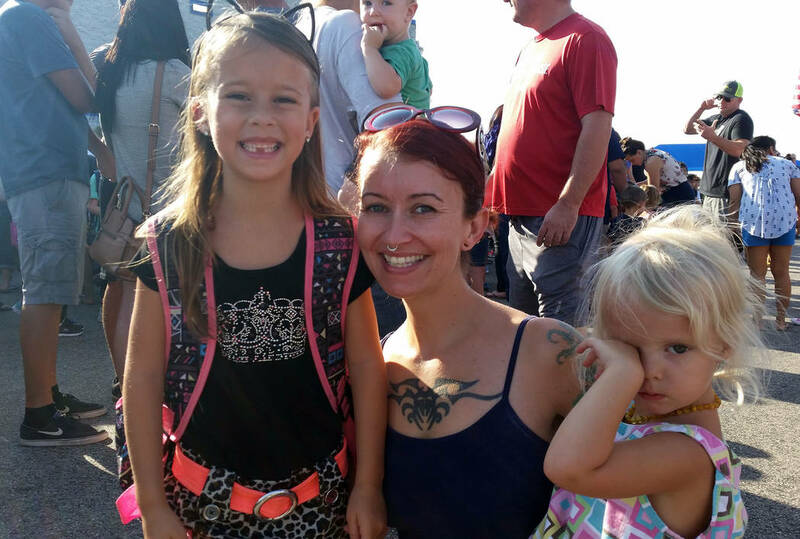 Her mom, Brandi, center, was also there with her sister Lucy. Celia Shortt Goodyear/Boulder City Review Freshmen line up in the Boulder City High School gymnasium on Monday for their orientation on the first day of school. 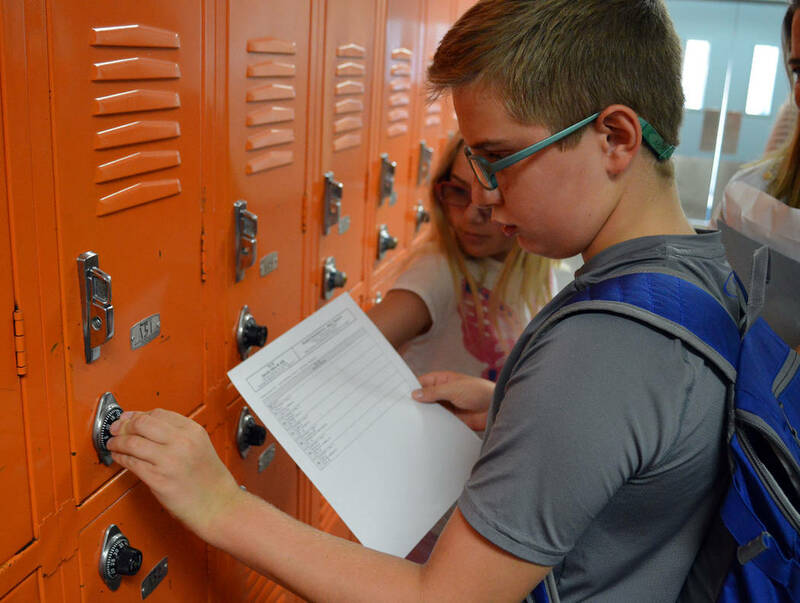 Sixth-grader Hank Stark opens his locker at Garrett Junior High School for the first time at a back-to-school event Friday. 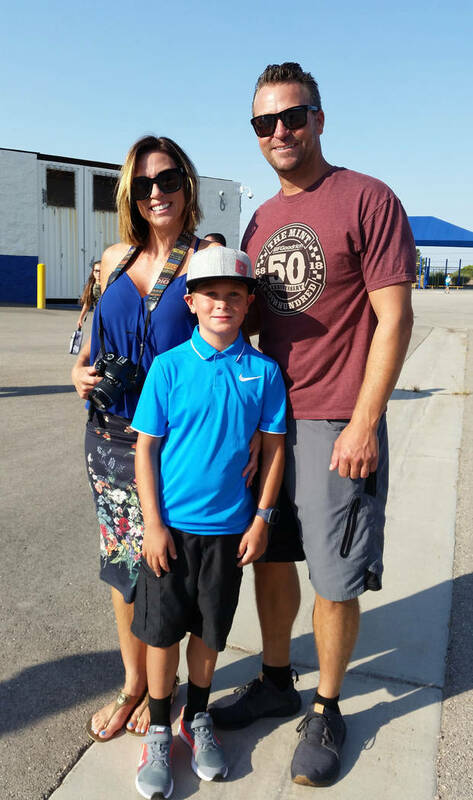 Kristin and Terry Stevens see their son, Cruz, off for the first day of school Monday. Cruz is a fourth-grader at King Elementary School. First-grader Leida Andrews, left, lines up for class on the first day of school Monday at Mitchell Elementary School. Her mother, Brandi, center, also was there with Leida’s sister Lucy. 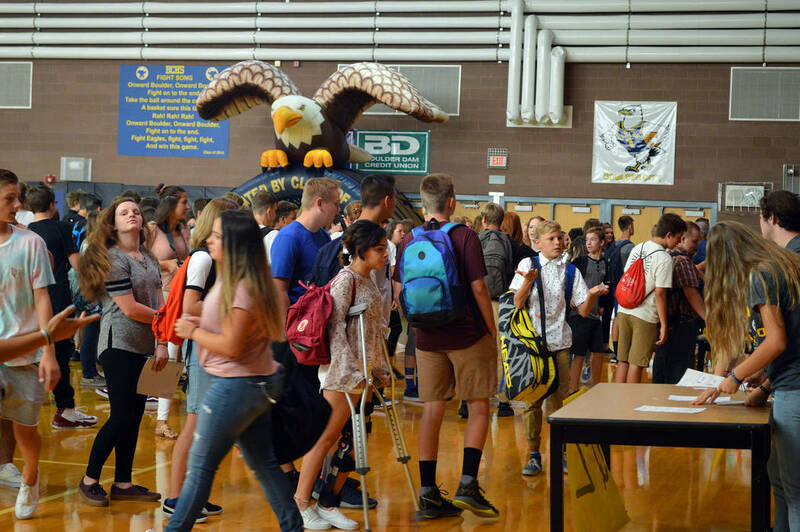 Freshmen line up in Boulder City High School’x gymnasium on Monday for their orientation on the first day of school.